Posted: December 23rd, 2011 | Author: Sven | Filed under: EDaWaX | Tags: Outlook, work packages | Comments Off on Merry Christmas and a Happy New Year 2012! 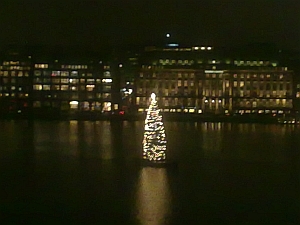 As every year, the christmas tree in front of my office window reminds me that the year 2011 is going to end soon…it’s time to thank our project partners for a successfull start of the project and a valuable cooperation. Furthermore, I want to thank all readers and commentators for your support in the last few months! Since the start of the project to this day, 1000 readers visited our blog. In my eyes, this is a remarkable number for the two months and a few days since starting this. Thank you very much!